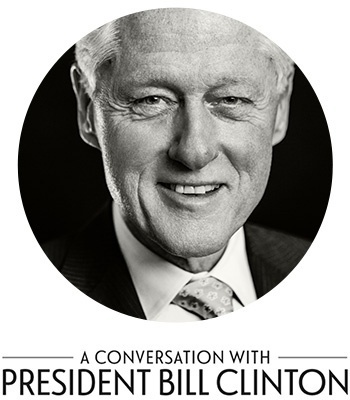 A Conversation with President Bill Clinton and James Patterson: Live and In Person – Legacy – Plan. Prepare. Prosper. The President is Missing by President Bill Clinton and #1 international bestselling author James Patterson, marks the first time a President has collaborated with a bestselling novelist on a work of fiction. The result is a powerful, one-of-a-kind thriller filled with details only a President could know, and the kind of suspense only James Patterson can deliver. Join best-selling authors President Bill Clinton and James Patterson for a live wide-ranging conversation as they discuss their unique collaboration, offering candid insights into their process and research, as well as the timely and alarming issues their novel raises about our world today.